During my farm management school in December in Urbana, I invited a panel of ag lenders to answer questions about what they are looking for in a potential client and what can clients do to build stronger relationships with their lenders. The panelists were Greg Kinght with Civista Bank in Urbana, Paul Lensman with Agri Business Finance in St. Paris and Rudi Perry with Farm Credit Mid-America. Here are the questions asked and a summary of their responses. Q: What characteristics do you look for in a potential client? A: Character is a big part of the lending decision. Is the person honest? Trustworthy? Do they have the responsibility, knowledge and experience to be successful? Q: How does the current economic outlook for agriculture affect the lending decision? A: The big questions is: what is the producer doing to protect themselves? We don’t see crop prices increasing anytime soon. Having a contingency plan is a great way to show us that they are planning for future and not taking each day as it comes. Q: What about debt re-structuring? What does that look like and what are the options? A: It is very situational dependent. We are proponents of constructive credit but sometimes it does not make sense. Replenishing working capital through selling assets or spreading debt out over several years can also be an answer. FSA guarantee loans may be an option or restructuring loans on longer terms can work for some farm operations. Q: What land value, dollar per acre, are you willing to finance? A: We mostly prefer not to put a dollar figure on land value and look more at loan to value. That figure has been reduced somewhat from 5 years ago and the borrower will likely have to make a larger down payment or add more equity than in recent years. Overall land will be a good long-term investment. Q: What is your first impression of the new tax law and how it might impact agriculture? A: It likely will not have an effect on lending but there is a concern about the overall increase in the deficit. Legislature could look to make the deficit up in the Farm Bill by cutting farm programs. Q: Do you have programs for young and/or beginning farmers? A: Farm Credit has recently created a Young and Beginning Farmer program. Some benefits include up to 85% loan to value and not quite 50% equity for loans. It also has a 2-day farm finance educational program. Lenders also work with FSA guarantees and are willing to work with new farmers. Q: What information do you need from niche or specialty crop producers? A: We want to make sure the producer has a very good understanding of producing and marketing that product. If the farmer knows what they are doing and can back it up with data, we will definitely consider it for a loan. The farmer just needs to be prepared to educate their lender. If the equipment being used as collateral is very specialized, it will likely have a lower loan to value ratio because it is a lot harder to move that equipment. Diversification can be a good thing! Q: How do you determine the operating line of credit for a farm? A: We want the customer to establish that number based on their farm and cash flow. Q: How do you determine the value of collateral? A: We use several different sources such as local sales, online equipment listings such as tractorhouse.com, Hot Line Farm Equipment Guide and even some outside appraisers. When using real estate as collateral, we always use an appraiser. Q: What about if I’m putting it on my balance sheet? A: Farmers can do it as cost less depreciation but most lenders prefer the market value using recent sales. We just ask that the farmer is consistent from year to year and if changes are made, be prepared to tell the lender why the value was increased or decreased. Q: Where do you see farmers making errors on their balance sheets? A: Missing pre-paid expenses on the assets side and missing accounts payable to go with them. Credit card debit is also often left off. Remember that long term loans have a portion that is due each year and that portion of the loan needs to be moved up to current liabilities. Accrued interest is another that can be missed. 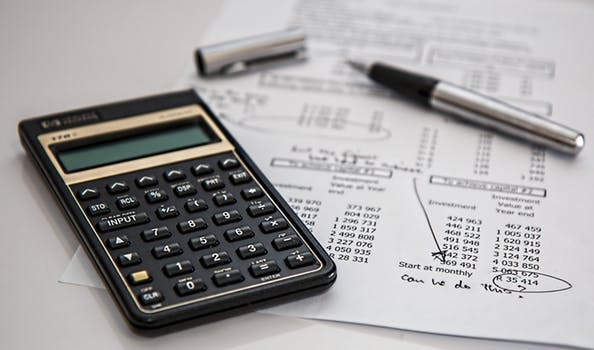 Sole proprietorships have assets and liabilities for non-farm assets that need to be reported on the balance sheet or create a second balance sheet for the non-farm portion. We start looking into everything after meeting with the borrower. It is better for the borrower to bring up everything rather than us find it in our research afterwards. It is important to the lender to know what the ownership structure is: LLC, sole proprietorship, corporation, etc. If you are making some risk separation business decisions using these entities, it can help us make a lending decision in your favor. Q: How often would you like customers to communicate with you? A: It depends on the situation but definitely when major life events occur and it is always better to share something with your lender before we hear it from someone else. It is also nice to hear from the farmer when they are considering purchasing a new piece of equipment, making changes to planned crops, or what their marketing plan might be. Q: If a farmer participates in the FINPACK program, does that add value? A: We are impressed when someone uses the program. It shows that they have attention to detail and discipline in record keeping. The benchmarking piece also allows them to discuss with us areas where they excel and where they would like to make improvements. Q: What should a client bring to a meeting? • Entity paperwork such as articles of incorporation, bylaws, partnership operating agreement, LLC setup, etc. • 3 years of tax returns, these are not always needed but if they are, we have them and don’t need to contact you to follow-up. • A current balance sheet is a must and multiple year-end balance sheets are even better. • We don’t always need to see your insurance information upfront but we may need it so have it ready. • For new or expanding enterprises, we need to see a business plan. They summed up the panel by asking the audience what they can do for the farmers. Lenders want to make loans so how can they serve farmers better? There are very few problems you can’t work through with your lender if you have a good relationship. Rudi Perry a regional vice president for Farm Credit and recommends contacting your local office to speak with a lender.